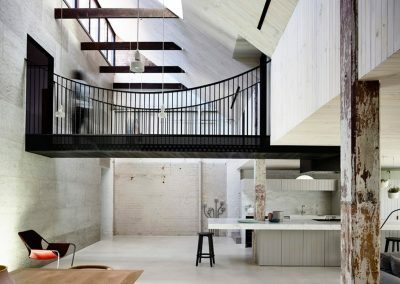 This unique project by Architects EAT is a conversion of a gritty 250m2 brick warehouse into a family home, previously known as the iconic MacRobertson chocolate factory in the old industrial area of Fitzroy, Victoria. 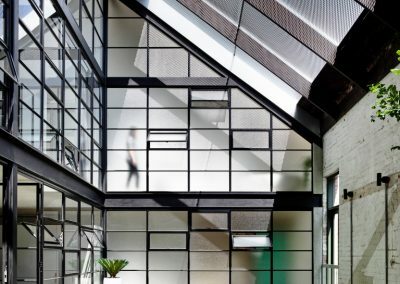 The former 125-year-old industrial building is a mixture of intimately scaled family spaces and vast entertaining voids, with the architects taking a lot of effort to respect the building’s rich past. 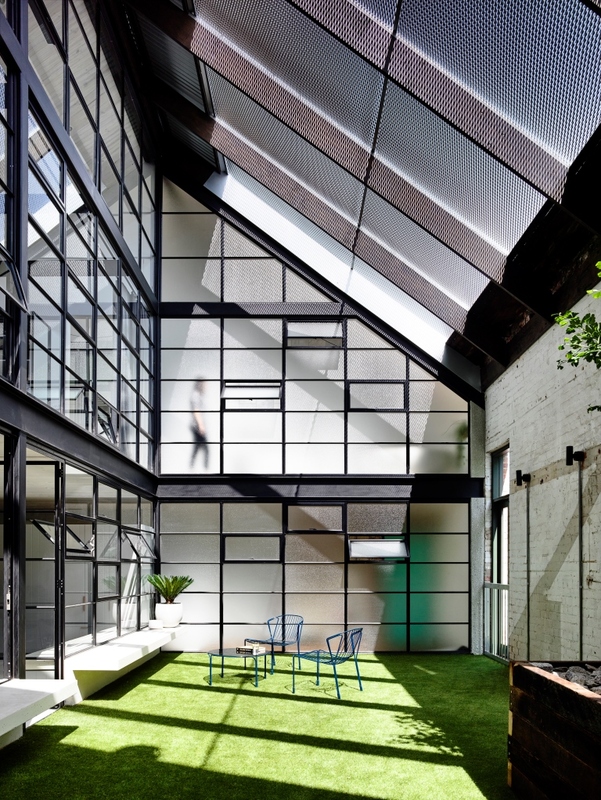 Two full height voids act as the lungs of the design, bringing both light and sky views deep into the internal space. Breezway Louvre Windows are installed as highlight windows to assist with these views and help ventilate the area when required. 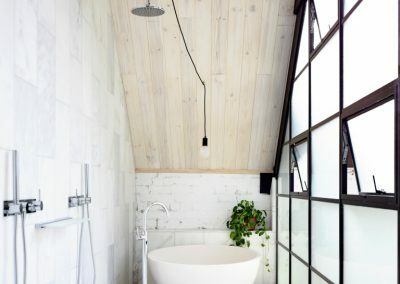 The private areas such as the study and bedroom are accommodated on the first floor by volumes of a more intimate scale. 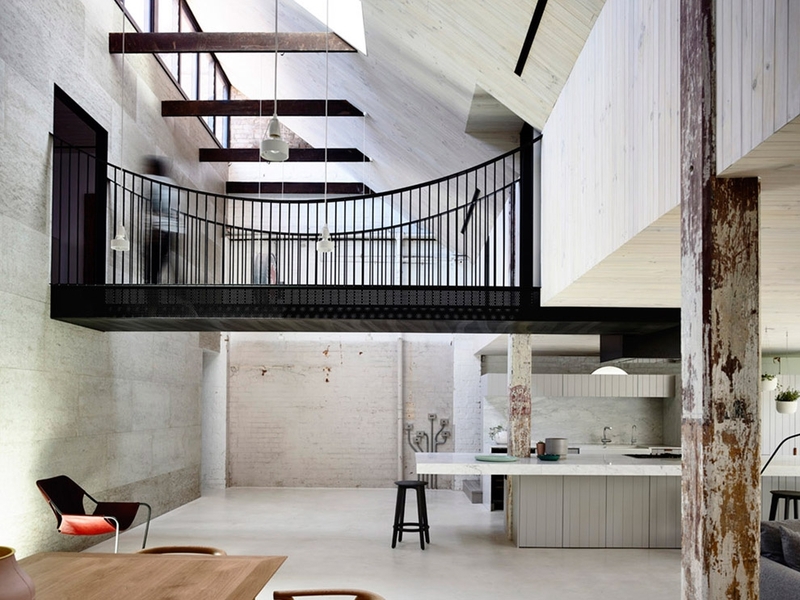 This project was the Winner of 2016 Australian Interior Design Award for Residential Design.